Habitat for Humanity of Utah County will breaking ground for its second Utah Valley University sponsored home this Thursday, September 3, 2009 at noon. All interested community members are invited to attend the groundbreaking celebration. The four bedroom home, located at 165 East 800 South in Orem, will be built by students in UVU's Construction Management Department and will be sold to Michelle Terry and her three small children. This is the second home sponsored by the University. The first home was completed in the spring of 2008. 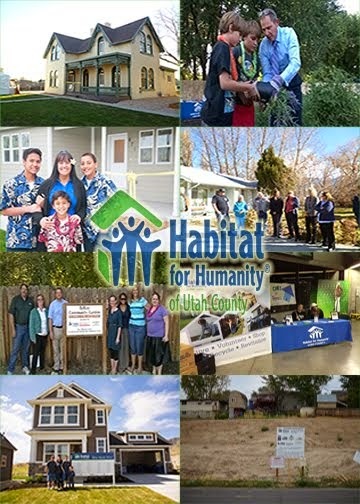 Habitat for Humanity of Utah County is a non-profit, ecumenical organization and is one of more than 2,300 affiliates of Habitat for Humanity International. The local affiliate is committed to eliminating poverty housing and homelessness in the county by building or renovating simple, decent homes with area residents in need of affordable shelter. Affiliated in 1991 by a group of local community members that were concerned about substandard housing in the county, the organization has built or renovated 36 homes providing more than 57 adults and 120 children safe and affordable housing and a stable home environment. The affiliate is currently building a home in Spanish Fork and working on its Brimhall Estates rehabilitation/infill project in Provo. For more information, please call (801) 344-8527 or look online at www.habitatuc.org.